Those looking for gaps in the shiny carapace of one of the best MMORPGs on PC poked at its missing subscription. Could box sales sustain those bi-weekly updates and the huge team behind them for years to come? The short answer: yes, so long as there are more countries for ArenaNet to conquer. Guild Wars 2 has 3.8 million players in China, just two months after its launch. Guild Wars publishers NCsoft have taken a census, and the results are positively biblical. Around 3.8 million people are playing the game in China, all of whom have bought it. Given that the game has stuck fast at its £34.99 sale price, that’s a more-than-nice boost to NCsoft’s annual earnings. ArenaNet last reported Guild Wars 2’s Western sales in August, two years after its release, when 3.5m copies had been shifted. Worldwide, the game has now breached the seven million mark. Guild Wars 2’s continent-spanning aesthetic might have been made for China, but there were worries its approach to payment wasn’t. 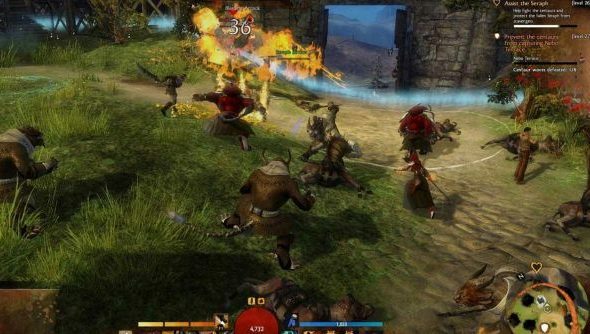 The Chinese market is dominated by free-to-play MMOs. But ArenaNet have made a second-wind success of Guild Wars by sticking to their everything-for-everyone ideals. For reasons why players are still living in Tyria, check out the planned scope and frequency of Guild Wars 2’s Living World Season 2. Who else can offer so much in the way of story updates?